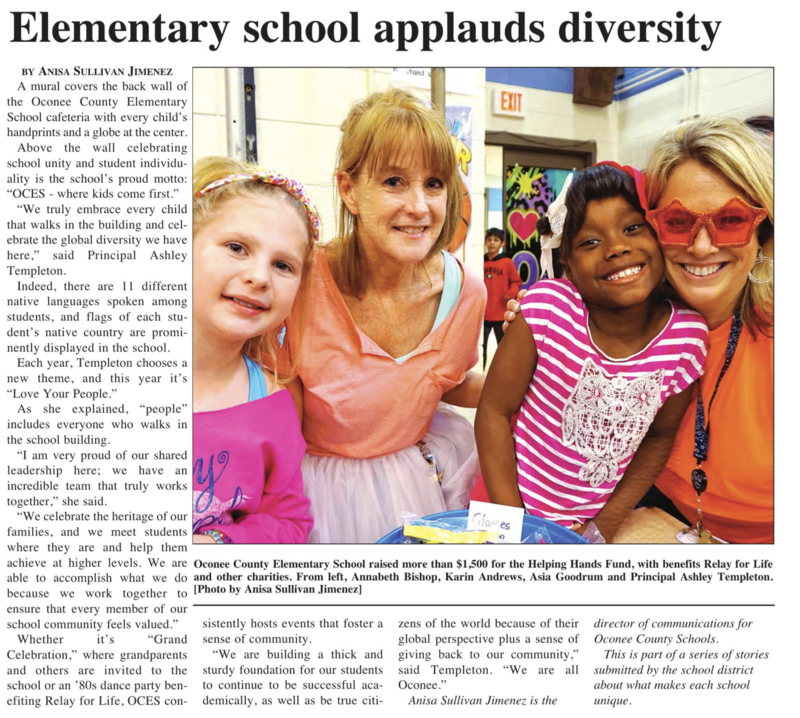 My name is Stephanie Dickens and I am the Gifted Lead Teacher here at Oconee County Elementary School. This year is my twenty-first year of teaching, all of which have been here at OCES. For the first sixteen years of my career, I taught fourth grade in the general education classroom, spending ten of those years working as a collaborative partner with our Special Education program. In 2014, I moved to my current position in Gifted Education, where I teach gifted resource classes as well as advanced content classes in all subject areas. I have always believed that as educators we should strive to meet our students where they are, differentiating appropriately to accommodate students’ learning styles and individual capabilities. As an instructor in the gifted classroom, it is my responsibility to facilitate learning and to design challenging, engaging experiences that encourage students to maximize their unique talents and abilities. In addition to my classroom teaching responsibilities, I serve on various committees and assist with a number of extra-curricular activities at our school. I am currently a member of both our school’s Leadership team as well as our Helping Hands Committee. I am a TOME teacher advisor, teacher leader for our school’s Science Olympiad team, and I coordinate the Stock Market Game for our gifted and advanced content fourth and fifth grade classes. I also am a co-advisor for our school’s morning broadcast show, OCES LIVE!. My husband Jason, whom I have been married to since 1996, is co-owner of a locally operated family business, Dickens Farm, Inc./Dickens Builders. We have four children: Jake, a graduate of Oconee County High School and a sophomore at the University of Georgia, and Luke, Abby, and JR, who are all current students in the Oconee County School System.